Slow and Sure or Fast and Faulty? Like much of the time spent in my car, I had my music on low, enjoying my time alone with my Father. Driving down one of the major roads in my area, I was again touched by the beauty that we pass every day, often taking for granted. I thanked my Creator once more for the profound splendor He freely bestows on us daily, if we just take the time to notice it. If you live in SW Florida during season, (Jan/May’ish), you know what it’s like to be at the end of a very long caravan of cars on a doubled lined, two way road with plenty of curves and no hope of passing. The little green bug at the front was going all of 40 (in a 55) and I decided to just fall back and enjoy the drive. Yes, I could start passing one of the 10 cars at a time, or pass on a double line like the maniac in front of me with a death wish but I know from experience that the best thing to do, in order to retain my peace, is to keep my distance. I remembered someone saying how they had passed every car on this road, only to see those they passed pull up beside them at the first red light. Slow and sure won out. This decision was likely influenced by the fact that I was in the midst of prayer at the time. I looked ahead and saw a couple of older gentleman standing on the side of the road, waiting for the procession of cars to pass. I slowed down even more as I noticed one of them, who just couldn’t wait another second, begin his jaunt to the other side. He had a fishing pole in one hand and a tackle box in the other and he practically skipped to the other side. I chuckled at his very apparent excitement to get to his fishing perch. His friend however, stayed motionless on the side of the road, likely realizing I was the last car in the line. He would just wait and take his time. It might take him a little longer, but he would get there safe and sound. I looked in the rearview mirror as he cautiously ventured out and across the road at a leisurely pace. It may seem silly, but it warmed my heart to see these aged men out enjoying themselves on a beautiful day. Watching them made me think of how some of us are like the first man, always running out ahead, leaping out in faith that we’re on the right path, anxious to move forward and arrive first. This is great, but sometimes we find ourselves in a dangerous situation because we bolted ahead and didn’t think things through. Others are like the 2nd man; we might be in pursuit of the same goal, but we approach it more cautiously, we wait for just the right moment and the best conditions and then we slowly and carefully progress, eyes wide open for danger. But, could this cause us to miss out? Doesn’t the early bird get the worm? For a few moments, I focused on trying to ascertain which man used the best method to reach the goal. I think I am little of each but I think I often tend to be more like the 2nd man. My desire is to be as sure of the outcome as possible, before I venture out. My goal going forward is to be a little more like the 1st man and just jump right in sometimes, especially in matters of faith. Where faith is concerned, I don’t want to wonder and ponder; I want to dance to the other side knowing Who is in control. I found myself unable to pick an all-out winner though because either scenario could serve us well, dependent on the particular circumstances. One thing I do know; in this case, they both arrived at their intended destination, with their bodies and equipment intact. At best, it was grossly inaccurate. I couldn’t wait to grow up, to reach that pivotal 18 year mark and be my own boss, do my own thing, make my own decisions. How many times since have I said, “If only I’d known then what I know now”. Oh the joys of being provided for, loved unconditionally and yes, even the guidance and direction given to help me navigate the treacherous passages of youth. At the time, all I desired was more freedom from my parents; these older folks who surely had never experienced anything quite like I was going through. If they had, they had forgotten it by now. They just didn’t get it. Just wait until I was in charge! Words of wisdom went in one bejeweled ear and out the other. Advice was received with a nod of the head a smile, with a closed heart and mind. You see, I already knew everything; well actually more than they did, or so I thought. I don’t think I really “got it” until I was married and even more so after my first child. Being a wife, mom and productive member of society was more difficult than I had anticipated. The bills kept coming, emergencies happened, life didn’t go at all like I planned. Even in my twenties, I was still making some bad choices, feeling like I had forever and I was invincible. In my thirties, I lost my mom and found myself dialing her number for months after she was gone, craving words of wisdom, spoken from a heart of love. I wanted her to help me make decisions, to tell me what to do and she was gone. At fifty, I can tell you from years of experience, that I was wrong about being an adult. I thought it meant all fun, frivolity, and doing what I wanted to, with no interference. Although I have had my share of fun and I love my family dearly, I can tell you that being an adult isn’t all fun and games. I love the wisdom that comes with being older, but the sheer reality of life is hard sometimes. I didn’t realize the responsibilities of being a parent, that your love and devotion would continue to grow, even as your influence waned. I didn’t know that my choices would all have consequences, some of them life long. I couldn’t have imagined the joys of parenting, nor could I have anticipated the fear of getting it all wrong. Yes, I was most definitely wrong about what I thought adulthood would be, but I am still happy I am here and glad that I am open to learning from those wiser than me. I am blessed to have had so much great influence in my life and pray I can be a good example of an “elder” to others as long as I have breath. 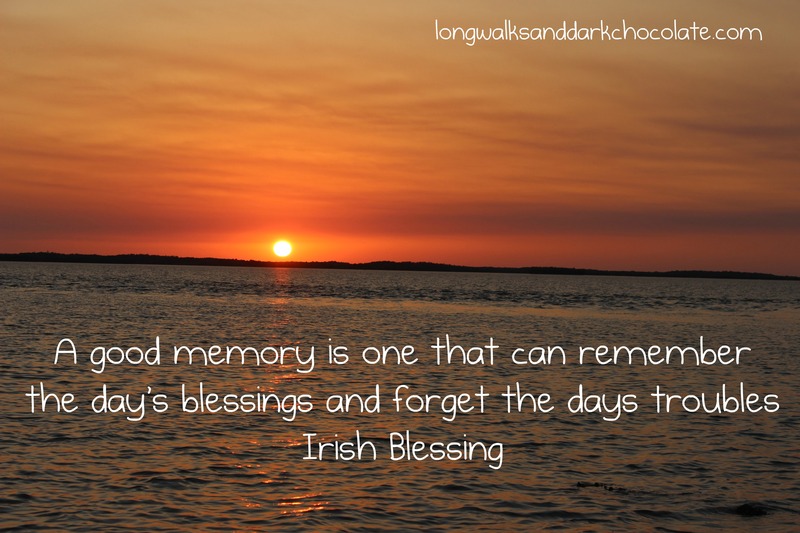 Irish blessing with background of Everglades sunset. Everyone has them, we make more every day. You see, the power of a memory is a wondrous thing to me. 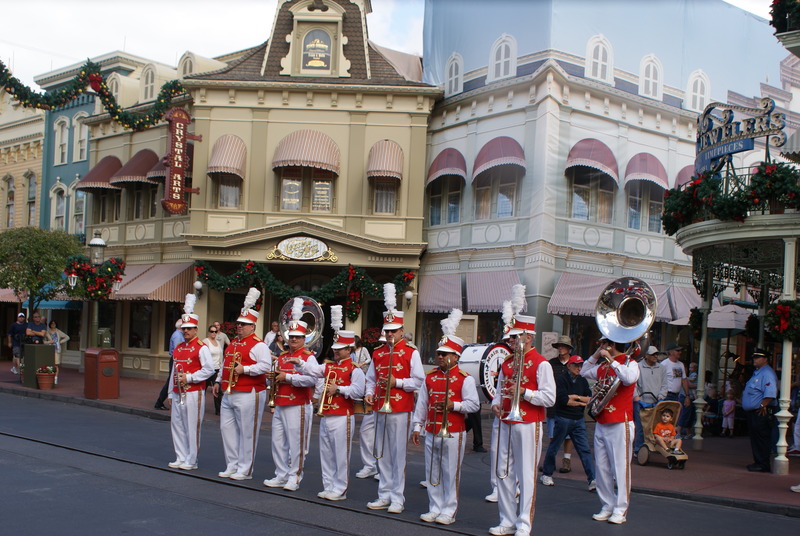 If your life was a parade, what banner would you wave? Would you hold it really high, so all could see as you passed by? Or would you hide yourself behind, so that no one knew your mind? Would you lead from the first row or would you follow those you know? Would you lag behind feeling numb, or would you march to your own drum? What kind of music would you play? Joyful? Bluesy? A mixed array? As you passed the people along the way, would you really see them or just look away? Marching on, towards the end, are you pleased with what awaits, my friend?